Attention dealers: Kwikset and Leviton team up to host a class at ISC West on enhanced RMR using Z-Wave enabled products and services. Join them Thursday, April 11, 12:45 pm – 2:45 PM in room 704. 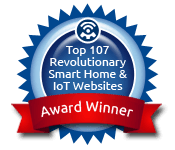 Real Integration Right Now: Don’t believe the hype on Z-Wave interoperability? Kwikset & Leviton’s wildly successful Door Locks and Vizia RF+ Lighting solutions are the robust, proven, and affordable way to Z-Wave enable today’s smartest homes. In this session, Kwikset and Leviton demonstrate how easy it is to tie locks and lighting controls to security and home control solutions from today’s leading manufacturers. Using these strategies, products, and best practices can double the RMR on any installation by providing the apps your customers want to pay for today! Why attend this class and sell this stuff? Market Overview for enhanced RMR, Z-Wave enabled products and services, access control and lighting control/energy management are both at the top of customer requested options for their home. CEA data and other sources will be presented where permitted.